A powerful antioxidant and environmental protection solution, CosMedix Benefit Balance helps refresh and shield skin from the countless free radical threats it encounters every day. As heavy water (D2O) and Vitamin C protect, moisturise and strengthen the skin, spin trap converts free radicals to oxygen for cellular respiration. Perfectly paired with CosMedix Pure C crystals. Antioxidants are the key to a healthy, toned and glowing complexion. This is because of their ability to fight free radicals from damaging healthy skin cells and their specific nourishing properties. 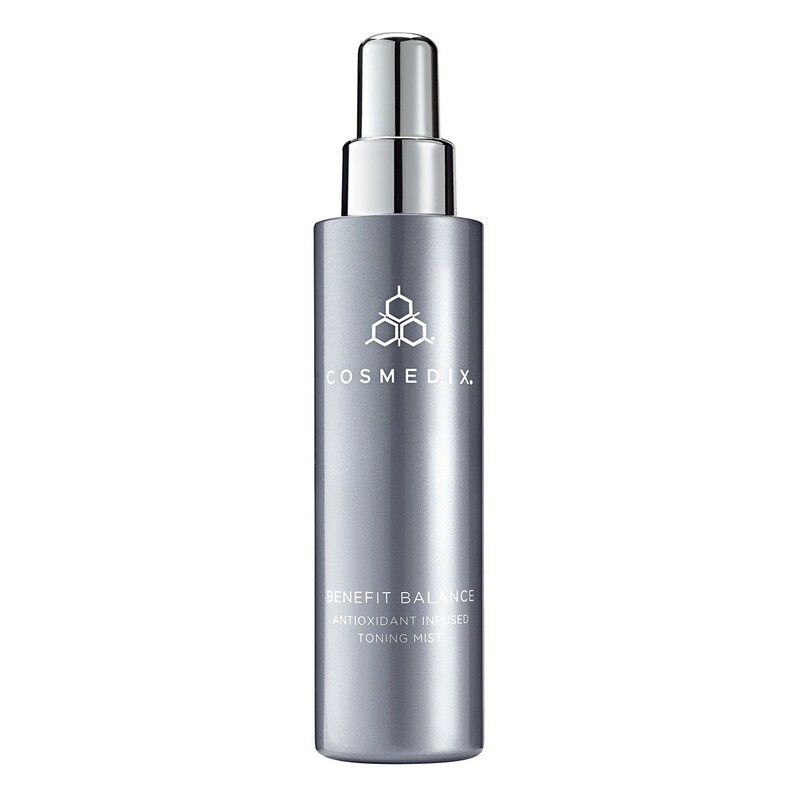 CosMedix Benefit Balance uses the power of potent antioxidants to tone, soothe and nourish the skin. This product contains a team of various antioxidants to achieve this outcome. Green tea is used in this CosMedix balancing mist as it includes many catechins. These are antioxidants that have been shown to work as anti-cancer and anti-inflammatory agents. Green tea has become extremely popular in cosmetics over the years as it contains one of the most effective catechins for battling inflammation and cancerous skin changes. 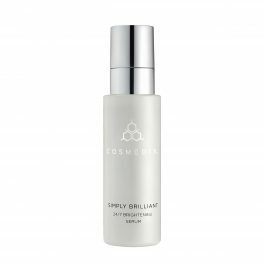 Aloe Vera and chamomile are also used as antioxidants in this CosMedix Benefit Clean product as they contain healing, soothing and calming properties. Once the antioxidants do their job, Witch Hazel and lactic acid are present for an extra toning and nutrient providing purpose. Witch Hazel, is a natural astringent which can help reduce inflammation, decrease redness as well as oil. This powerful agent also lessens bacteria and speeds up the healing process for scars or infections. Lactic acid is used in CosMedix Benefit Balance for its AHAs or alpha hydroxy acids, which also reduce acne as well as the appearance of wrinkles. Lactic acid is also a popular exfoliant for ageing skin as it so gentle, and yet incredibly effective. Lastly, shea butter and D-glucuronic acid are added to this CosMedix skin balancer assisting with moisture loss. Shea butter is particularly efficient at healing blemishes and wrinkles due to its high levels of vitamin A and other rejuvenating antioxidants. By using CosMedix Benefit Balance in your daily skin care regime you’ll be feeding your skin with essential nutrients and protective agents to help balance and vitalize your complexion. Spritz CosMedix Benefit Balance solution directly on the skin or apply with fingers. Smooth over entire face, avoiding the eye area. 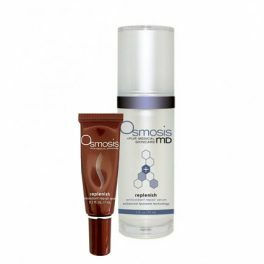 Apply mornings and evenings after CosMedix Benefit Clean. This is really a beautiful product. I love it. This product is amazing. I was hesitant to buy it at first as I’ve never been a fan pre-moisturiser toners. But this is so moisturising and gives my face a bit of an instant comforting relief post cleansing. I will buy this again.